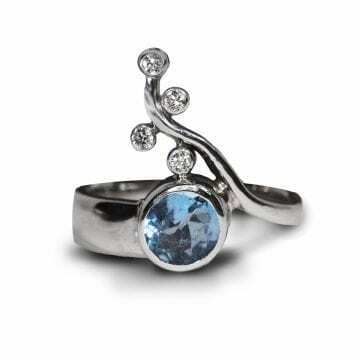 Paul Richter's designs custom engagement rings and black diamond rings. 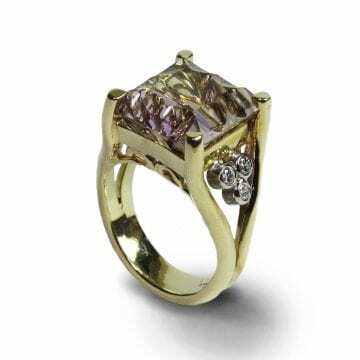 The 14kt yellow gold ring features (1) fancy cut ametrine (9.49ct) accented by (6) round brilliant cut diamonds (0.32ctw.) Designed & fabricated by Paul Richter. 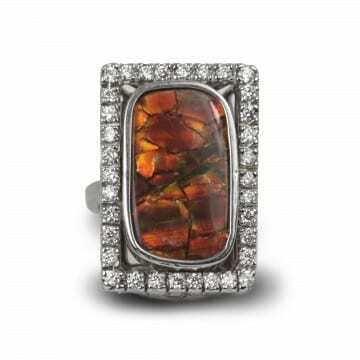 The 14kt white gold ring features (1) rectangular ammolite accented by 1.12ctw of round brilliant cut diamonds. The 18kt yellow gold contemporary wide band style aquamarine & diamond ring features (1) Mozambique aquamarine that has a carat weight of 1.53ct. The aquamarine is accented by (6)round brilliant cut flush set diamonds that have a carat weight of 0.14ctw. 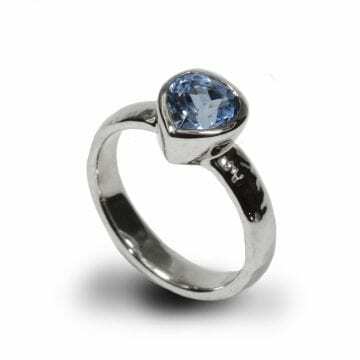 Ladies 14kt white gold aquamarine and diamond ring from the Willow Collection. 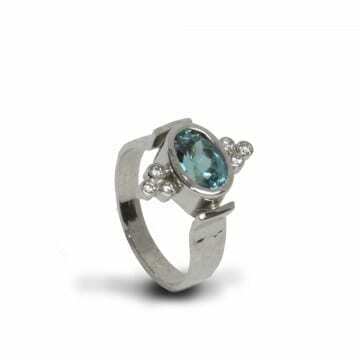 The ring is bezel set with (1) oval Brazilian aquamarine that has a carat weight of 0.97ct. 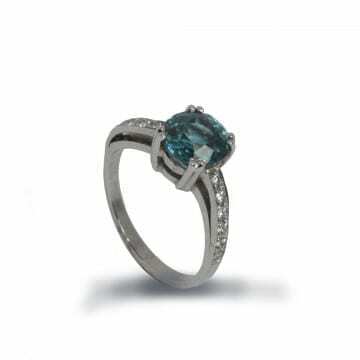 The aqua is accented by (4) round brilliant cut diamonds that are F color, VS2 clarity and have a carat weight of 0.16ctw. The ring is a contemporary design that interprets a branch that wraps the finger with diamond leafs. 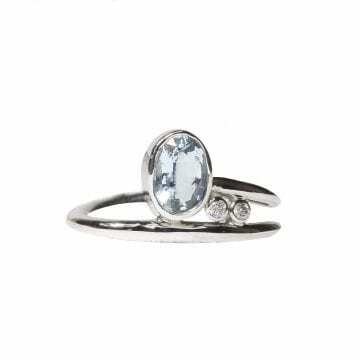 The 14kt white gold ring featues (1) oval aquamarine (1.11ct.) accented by (2) round brilliant diamonds. 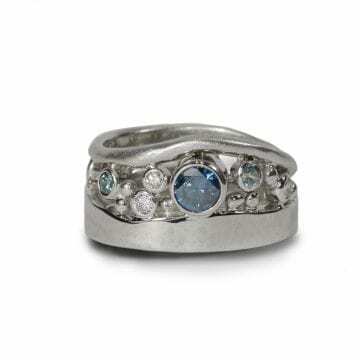 The 18kt yellow gold ring features (1) blue zircon accented by (18) round brilliant cut diamonds (0.97ctw.) Designed & fabricated by Paul Richter. The 14kt yellow gold brown zircon and diamond ring is a contemporary original design and fabrication by Paul Richter. The ring features (1) trillion cut brown zircon that has a carat weight of 21.50ct. The zircon is accented by (29) round brilliant cut, channel set diamonds. The diamonds have a carat weight of 0.96ctw.